7th November 2017. The day that many people felt they could tune into Smackdown Live once again. 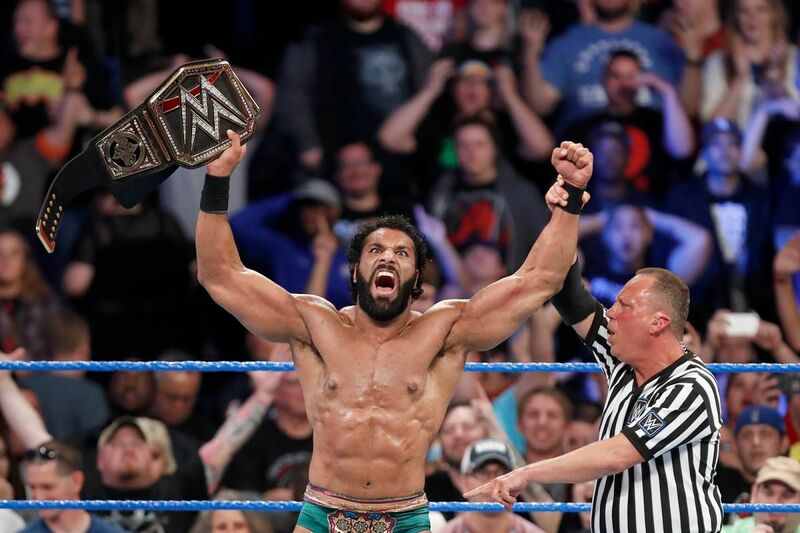 After a period of nearly six months as WWE Champion, Jinder Mahal finally dropped the title to AJ Styles in the first ever world title change outside North America in a move that surprised many but relieved. With a random push to the top after years of being a jobber, the return of an infamously bad gimmick match and an almost infamously bad wrestler, to casual racism and xenophobia, it was a truly a reign that will leave a bad taste in fans' mouths for years to come. Despite that, it's not the only time a title reign has completely flopped, so this month I am taking a look at some world title reigns that fell completely flat on their face. 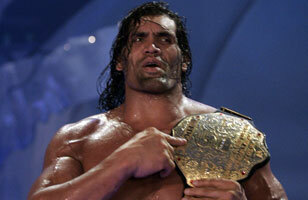 I'm putting two title reigns together here but do you remember either of them? I didn't think so. This was the start of a trend that became all too common an occurrence in this time period, where people were handed the title when they weren't ready and never really recovered fully. 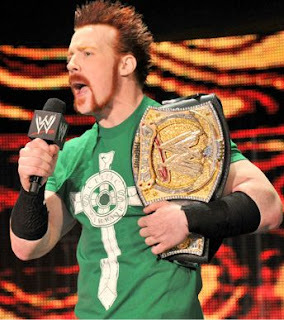 Sheamus debuted on the 26th October and by December he had beaten John Cena to win the WWE Championship, retaining the title by disqualification against Randy Orton at the Royal Rumble before losing it the next month and regaining it again only to defend in multi-man matches and play second fiddle to the Nexus and John Cena storyline. Both these reigns completely destroyed any momentum that he had when joining the roster before he was turned into King Sheamus shortly after. It seems the worst thing that can happen to someone is for WWE to be high on them at times. 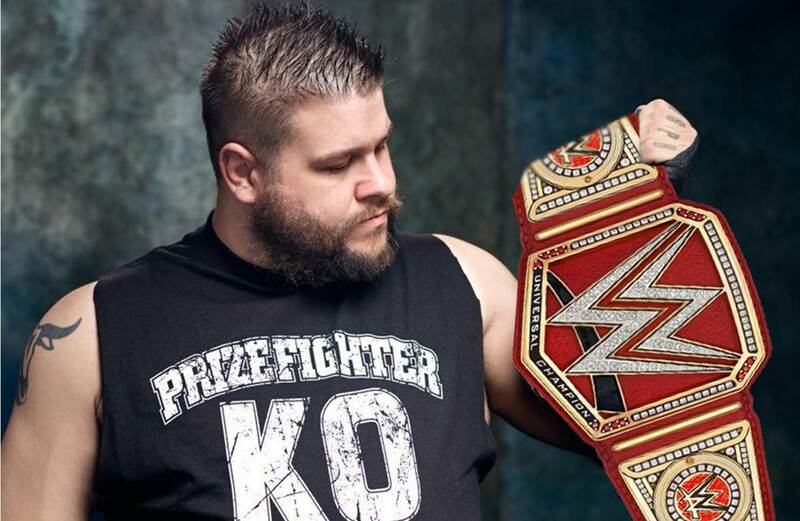 When Kevin Owens won the Universal Championship for the first time on August 29th 2016 by defeating Roman Reigns, Big Cass and Seth Rollins in a fatal four-way match, the internet was awash with excitement. It was something different and it was another one of the indy darlings that have made it. What followed wasn't exactly the greatest few months in the world for the title, with Owens friendship with Chris Jericho taking precedence of a title that was in its infancy. Endless defences against Roman Reigns and Seth Rollins followed, with the reign fittingly ending with a 30 second loss to a 50-year-old Goldberg. Certainly not one of the better ones. This one was bad for me for the precedent it set. It was the first time that WWE decided to give the title to someone that wasn't on the full time roster and since then, we've had Brock Lesnar, Triple H and Goldberg all go into each Wrestlemania since with a world title in tow, and Lesnar looks set to do so again next year. This one also stands out like a sore thumb because it saw the end of CM Punk's year long plus reign in order to build to an anticlimatic rematch that nobody wanted to see in Wrestlemania 29's Rock v Cena II, and may very well have been the beginning of the end for everyone's Straight Edge Superstar. 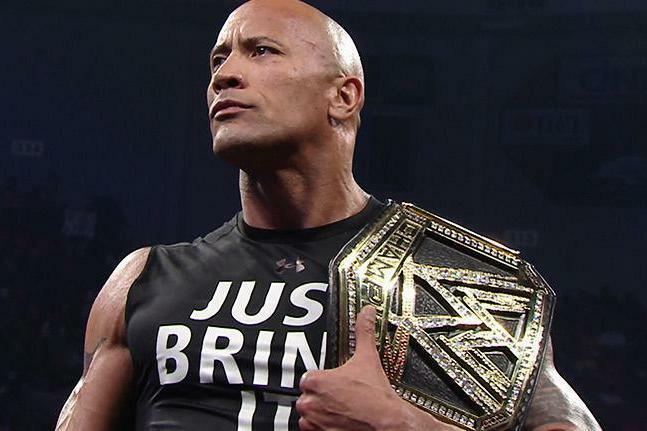 I love The Rock, but this wasn't needed. If this one doesn't speak for itself, I don't know what does. The problem with this one is that they gave a guy that legitimately cannot work and gave him the championship. Hideous feuds with Rey Mysterio and Batista followed, before it all ended with a whimper when Batista won the title in a triple threat match at No Mercy 2007 after a two month reign. This never needed to happen, and I very much doubt anything like it will again. 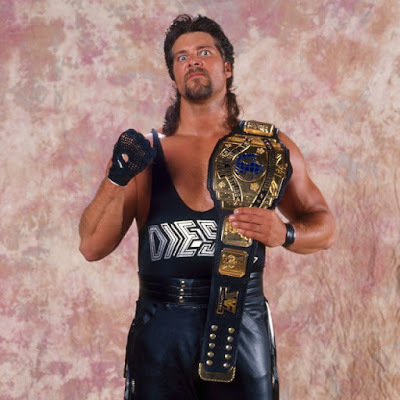 One of two mid-90s selections on the list, this year long title reign has lived in infamy because it took place in the WWE's least ever successful year. Despite having Bret Hart and Shawn Michaels at his disposal, Vince McMahon was determined that Kevin Nash was the next face of the company in 1995 and seemed hell bent on making him so no matter the consequences. Sound familiar? Nevertheless, despite the fact that Diesel was completely stripped of his personality during this run, he wasn't helped by the fact that WWE's roster was extremely thin at this point, and title defences against the likes of Mabel and Sid weren't going to do anyone any favours. Another one that was obviously going to be on the list. 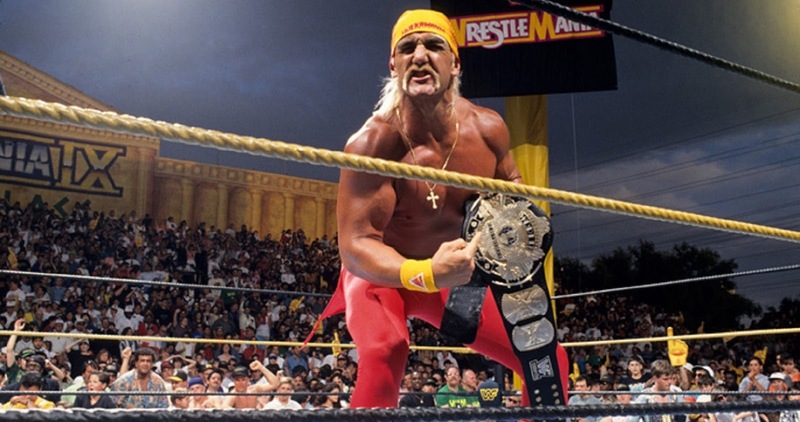 After eight years in 1993, it had appeared the WWF had finally moved on from the Hulkamania era in the wake of their steroid trial, with Bret Hart holding the title for eight months prior and set to defend the title against Yokozuna in the main event of Wrestlemania 9, a new generation of superstars were getting a chance to shine. That is, until Hulk Hogan returned to the company and decided he should be champion, randomly winning it out of nowhere by beating new champion Yokozuna in seconds in the main event. It was the icing on the cake to what was certainly one of the lesser Mania's. Despite what I said about The Rock, you could also argue that the precursor nearly 20 years prior, with Hogan not appearing on TV once over the course of his title reign before dropping it to Yokozuna at King of The Ring 1993 and leaving the company altogether. It was a travesty that Rey Mysterio's first ever world championship reign happened in the circumstances it did, with it being a product of Eddie Guerrero's tragic death in 2006, and the fact that WWE never planned by making him look like a joke afterwards proved it was never what was wanted in the first place. Mysterio looked a pathetic champion week after week and feuded with the likes of Big Show, Mark Henry and The Great Khali before his reign was ended by King Booker at The Great American Bash 2006. Now, I'm actually a big fan of Triple H's but that doesn't take away from the fact that his 280 day title reign in 2003 was mostly awful television. Fresh off the back of the Katie Vick angle only months before, HHH proceeded to have two awful matches with Scott Steiner in the first two PPVs of the year that ended any hopes Big Poppa Pump had of a successful WWE run, before halting Booker T's momentum by defeating him at Wrestlemania 19, taking on his old buddy Kevin Nash and then halting Goldberg's momentum by defeating him in an Elimination Chamber match, whilst injured in 2003. Goldberg eventually ended the run with victory at Unforgiven 2003, but nonetheless, this is a reign that few will remember fondly.